Romania being an EU member state falls under the EU VAT regime. Member states must adopt EU VAT Directives into their own legislation. 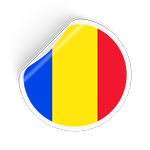 A non-resident taxable person must register for VAT purposes in Romania before he carries out VAT-able operations in Romania for which he is liable to pay VAT. Detailed rules regulate reporting requirements of Romanian transactions for Value Added Tax purposes. These include: invoice requirements, timeliness for an invoice to be issued, invoice and credit notes corrections rules, foreign currency reporting requirements and exchange rate sources, correction of previously submitted returns and accounting records that must be maintained for VAT purposes. Quarterly - for companies with a turnover below EUR 100,000.